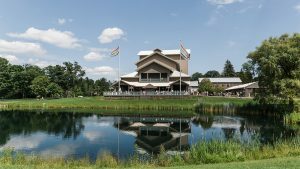 COOPERSTOWN, N.Y. (May 24, 2016) – The Glimmerglass Festival, the opera and musical theater company, announces several important government and foundation grants received for 2016 programming. More than half of the Festival’s expenses are funded through contributions, with 18 percent specifically from grants. 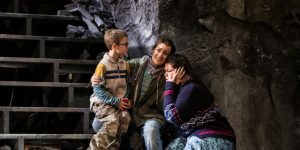 This will be the second year Glimmerglass has commissioned an opera written for and to be performed by youth. Wilde Tales, this year’s offering, by composer Laura Karpman and librettist Kelley Rourke, received a grant from OPERA America’s Opera Grants for Female Composers program, supported by the Virginia B. Toulmin Foundation to help underwrite Karpman’s commission. A $500,000 three-year award from The Andrew W. Mellon Foundation concludes this year in support of the Festival’s new production of Robert Ward’s Pulitzer Prize-winning opera, The Crucible. 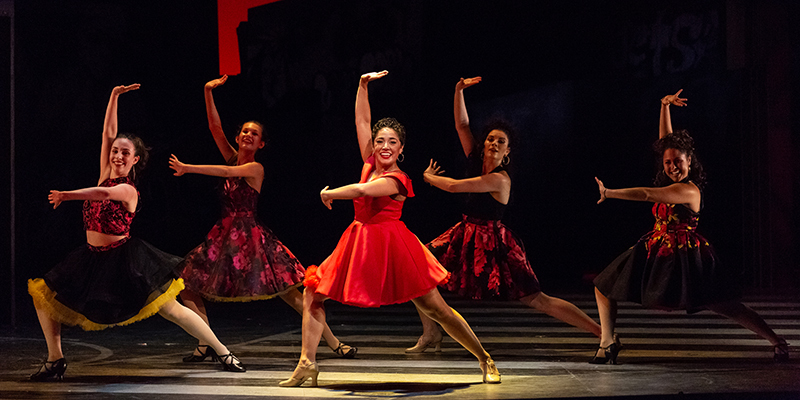 During the past two years, the multi-season Mellon grant helped bring to the stage new productions of Tobias Picker and Gene Scheer’s An American Tragedy in 2014, and Vivaldi’s Cato in Utica in 2015. The company’s staging of The Crucible was also recognized for its importance with an $80,000 grant from the National Endowment for the Arts, and by the Aaron Copland Fund for Music, Inc. Performing Ensembles Program. The Community Foundation of Herkimer and Oneida Counties is providing support for a new initiative, a sensory-friendly performance of one of the Festival’s second stage Lounge performances, Perfect Pitch, an annual baseball-themed musical review. The Community Foundation grant is making possible consulting services from the Kelberman Center for Autism to ensure a successful event. The Thaw Charitable Trust and the Clark Foundation remain funding cornerstones of the Festival, with, respectively, production underwriting and general operating support. The Clark Foundation additionally helps support for a growing number of community partnerships between the Festival and several local institutions, including the Fenimore Art Museum and the National Baseball Hall of Fame and Museum, collaborations that have benefited all of the organizations. A million-dollar grant from the Partridge Foundation, received last year to be used over three years, is making possible the growth of community programs into new areas. The Kurt Weill Foundation began a partnership with Glimmerglass in 2015 to establish the Kurt Weill/Lotte Lenya Glimmerglass Young Artist, a fellowship to support the training at Glimmerglass of an emerging singer who had made the finals of the prestigious Lotte Lenya Competition for vocalists. For 2016 the Foundation doubled its support to underwrite the principal guest appearance of Brian Mulligan in The Crucible. Mulligan was the first winner of the Lotte Lenya Competition in 1998. The New York State Council on the Arts and State of New York continue as essential grantors of the Festival, with general operating support and a special grant from the State made possibly with the assistance of Senator James Seward for improvements to the front of theater campus and audience experience. 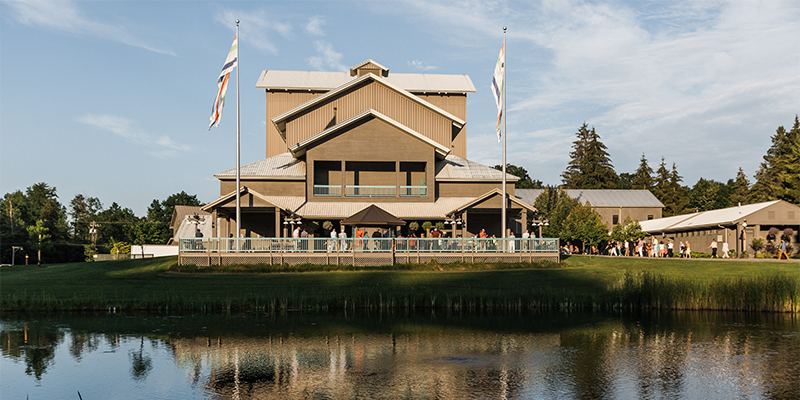 The Glimmerglass Festival is a popular cultural tourism destination because of its range of programming, bucolic setting and intimate 900-seat theater. 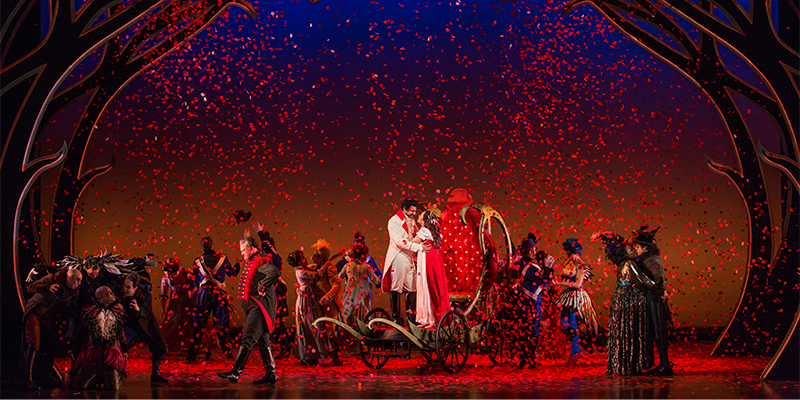 Ticket sales in the small theater, however, provide limited revenue, representing 35 percent of the operation’s income. Donations from individuals cover 37 percent of the Festival’s needs, with 18 percent coming from grants and 10 percent from endowment and other earnings. The 2016 Glimmerglass Festival runs July 8 through August 27 with mainstage productions of Puccini’s La bohème, Stephen Sondheim’s Sweeney Todd, Rossini’s The Thieving Magpie and Robert Ward’s Pulitzer-Prize-winning opera The Crucible. The mainstage productions are accompanied by many concerts, lectures, backstage tours and more. Visit www.glimmerglass.org for more information.